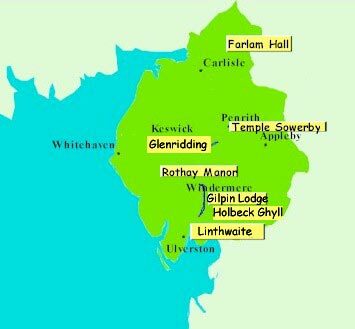 Cumbria hotels are known for their hospitality, and this page gives you a selection from the Lake District to Hadrians Wall. Click the yellow button on the map for details of that establishment. Temple Sowerby House Temple Sowerby Perfectly positioned between the Lake District and the Dales, this country house hotel makes a pleasant base for the area.